So in Liverpool the weather has been kinda crazy its either super heavy rain or sunshine and shades weather, for this Liverpudlian it just means Spring has arrived and with this comes a mix up in my makeup bag. 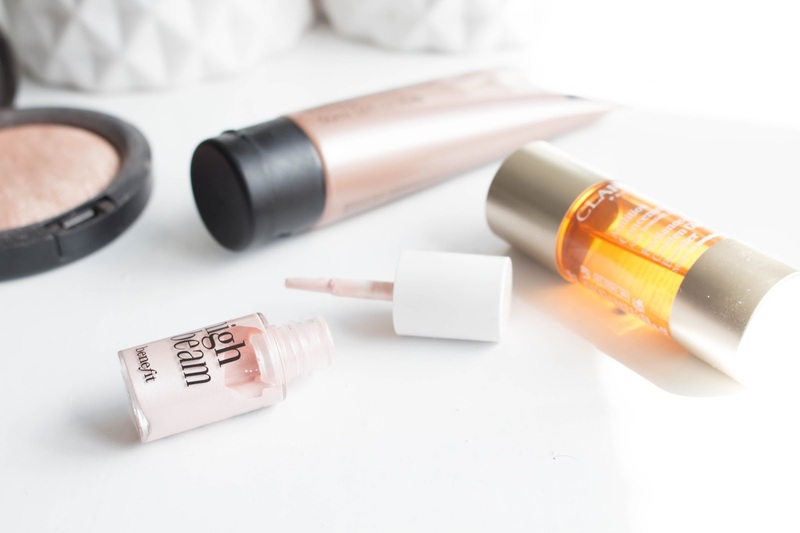 I’ve been reaching for my dewy skin bases and a super sheen highlighter. 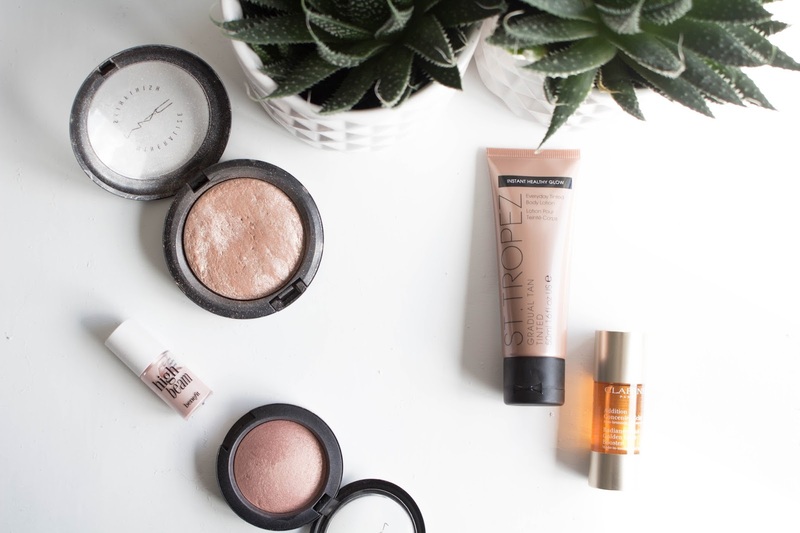 Here is just a few on my favourite Spring and Summer (there isn’t much difference between the two in the UK) go to products. 1. 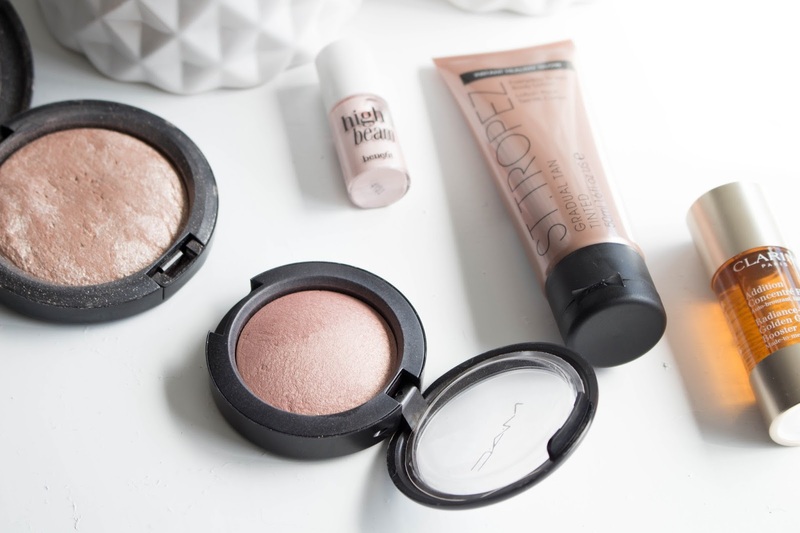 MAC Soft and Gentle Mineralise Skin Finish, yes I’m sure you have all heard this named screamed through your screens on YouTube and there is a reason why. It’s freaking incredible! No other highlighter is so butter yet long lasting and the colour is insane its a great universal highlighter for all different skin tones. 2. MAC Warm Soul Mineralise Blush, I like to add a little colour to my cheeks in the Spring time and I’m always grabbing this one. It really does warm your soul as well as your face! This blush is very shimmery but it’s the good kind, I promise. I tend to wear this with no other highlighter as you don’t really need to but hey? It’s Spring the season to go all out with glorious highlighters. 3. Benefit High Beam Highlighter, I always tend to use this product in Spring time due to the colour, I’m not a fan on pink however this shade is beautiful and I have been totally digging the pink makeup on HannahLousideF that in now starting to think pink. 4. Radiance-Plus Golden Glow Booster! This stuff is great for when your body is super tanned but your face isn’t as dark, simply add 1-2 drops to your foundation and it makes your face appear bronze (non orange at all). Perfect for a naturally bronzed face. 5. Now I have saved the best till last, St.Tropes Gradual Tan Tinted! Now if you hate the streaky tan look, the smell, the ‘your legs look like giant cheese puffs’ look then this bottle of glow is going to be your best friend this summer. It smells like a fresh moisturiser and after application it has a non noticeable smell of tan just a tiny hint. It adds such a subtle colour it only looks natural. All I can say is work fast this is a tanning product not a moisturiser. I think this is going to be going everywhere with me this summer on holidays and to festivals. You can get this sample size for £2.50 from Marie Claire so you can test before you go a head and spend a pretty penny on a tan.